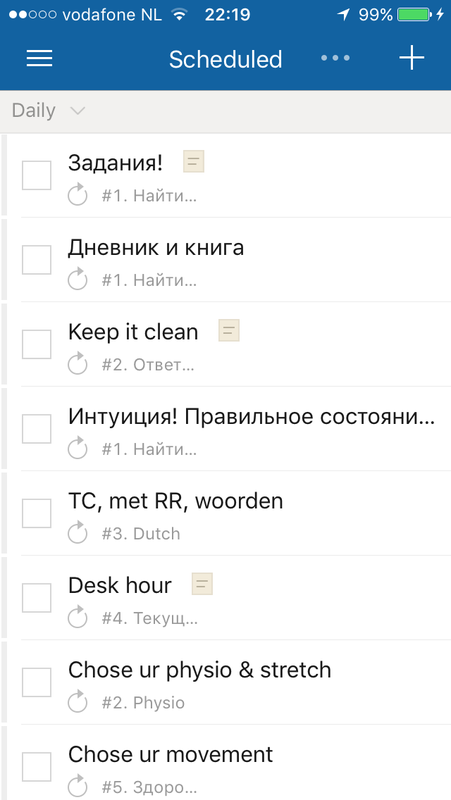 I have a problrmem of repeating tasks not showing in "today" or tomorrow, or "later" view. I can only see them under projects, but not where I need them. 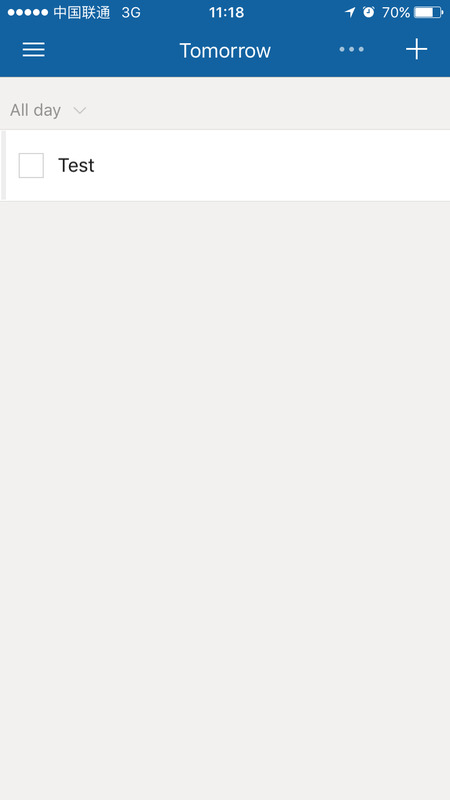 I tried to refresh-no changes. @katisakova Hi, we have checked and found there is no problem with your account. Could you try it once again？ If there still have a problem , please tell us your device information and specific operation at that time. We have to check. Sorry for the inconvenience. What do you want me to try though? 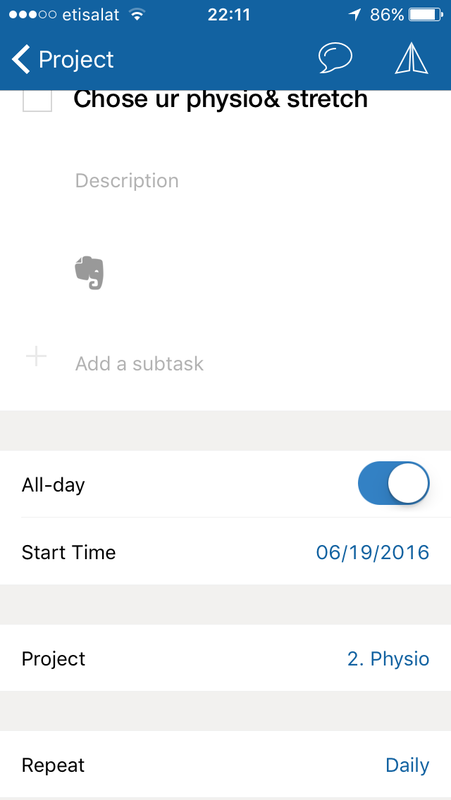 Deleting all my repeated tasks and creating them again? 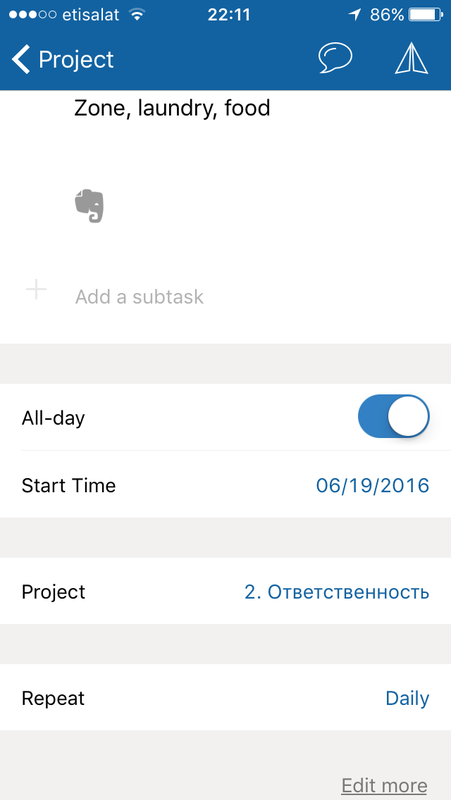 I have attached the screenshots of the tasks showing as "daily" in projects and not appearing in "toda" or"tomorrow"
@katisakova I have tested again, and there are no problem of repeating tasks. 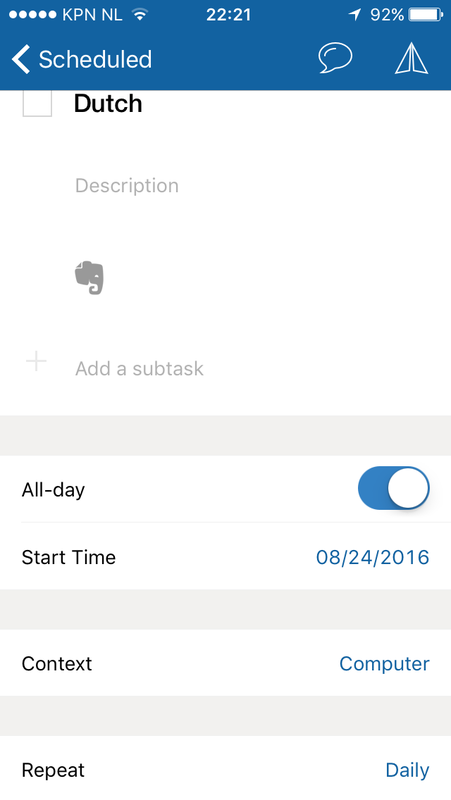 Would you please try to add a new repeating task under the "scheduled box"? 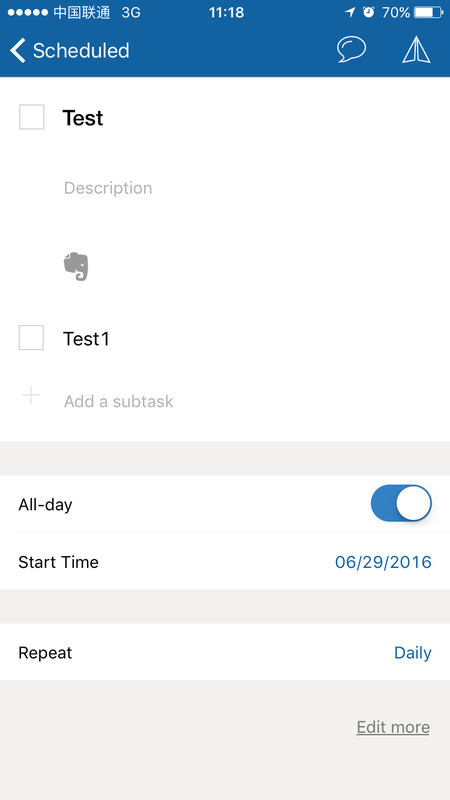 Then you can also find the task you added shows in "today" and "tomorrow". Sorry again for the inconvenient and thank you for your patience. Yes, I see it works.. It happened before though-I have reinterred all my repeating tasks only to realize they stop repeating in a week or so. Is there anything I might do wrong? I add them under projects mainly..
@katisakova We are sincerely sorry for this issue. The link below is about how to set repeat strategy for a task. Sorry again for the inconvenient and thank you for your patience. 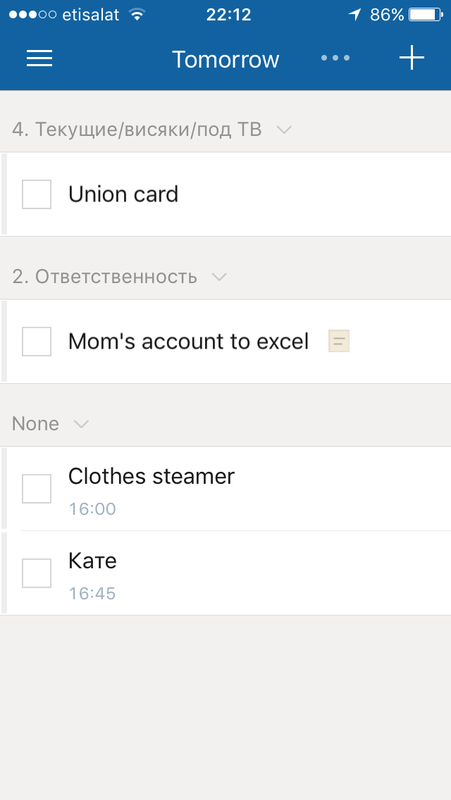 Hi again, I have deleted and reinterred all my repeated tasks. It takes exactly 2 days until they stop appearing! I use the program as an app, not a website, use it on my iPhone 5S, any ideas what is going on? @katisakova Hi,there.In Doit.im, repeat strategy can only be modified in the parent task, which is just located in Scheduled. So please go to Scheduled if you want to modify the repeat strategy of a repeated task. And you don't need to delete your repeat task if not necessary. @lilyaflower Hi,there. Could you please tell us your device information and specific operation at that time?We have to check. Sorry for the inconvenience. HI, sorry it took me long to reply. I have iPhone 5S. I am not sure I understand what you mean by specific operation.. 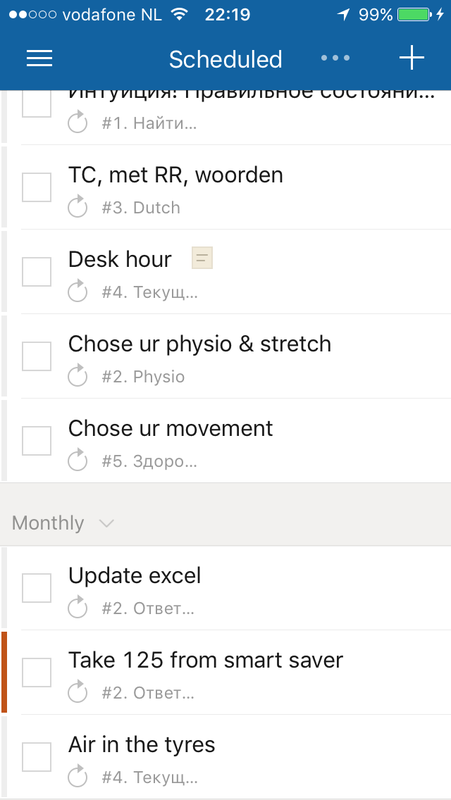 In "scheduled" I have sections "daily" and "monthly" and none of those tasks are visible in the day view. If you need more details please let me know. Shall we arrange a skype call if it is easier? If your repeat strategy was set correctly, the repeat strategy will also generate repeat instance go to the Today box or Tomorrow box in the corresponding date. 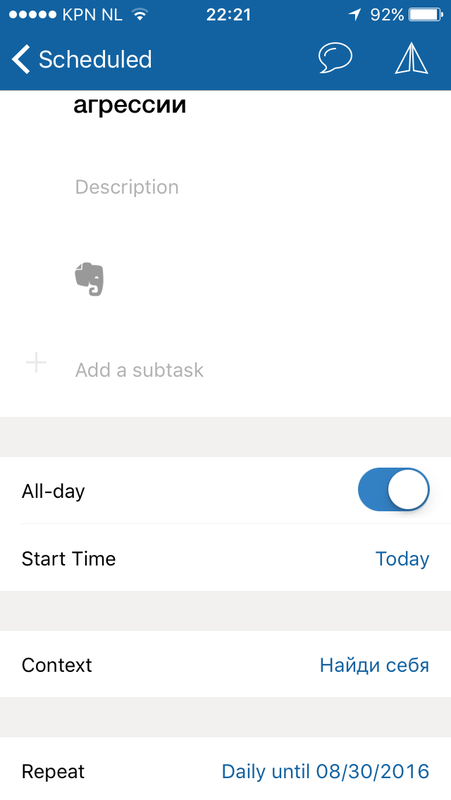 And if convenient, Could you please let us know your repeat task name that didn't show in the day view and send us the screenshot of your repeat strategy for these tasks. You can find it in "Scheduled" box. Thanks for your replay. Could your please send us the screenshot like the attachment picture below? we want to know more detail information such as start time, deadline and repeat strategy. 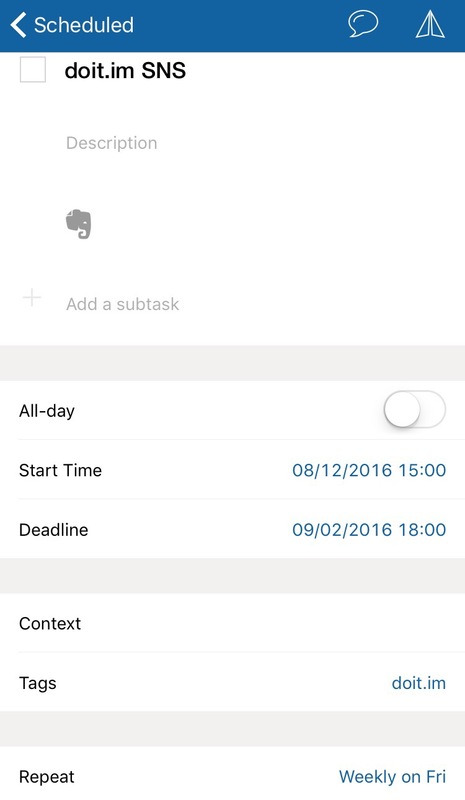 Could you please check the time ( start time and deadline ) of your repeat task ? Start time will guide the task into different boxes. And to modify the Start time of a repeated task may affect the repeat dates. 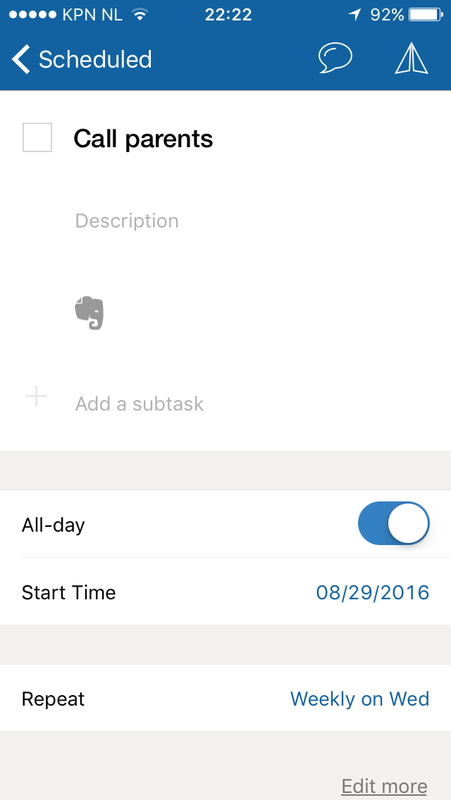 For example, Today is 8/28 , if you set 8/29 as the start time, the task will not show in your "Today" box. If you set 8/30 , it will show neither toady or tomorrow. Please try to log out and re-login then add these tasks again. I am seeing this same problem. 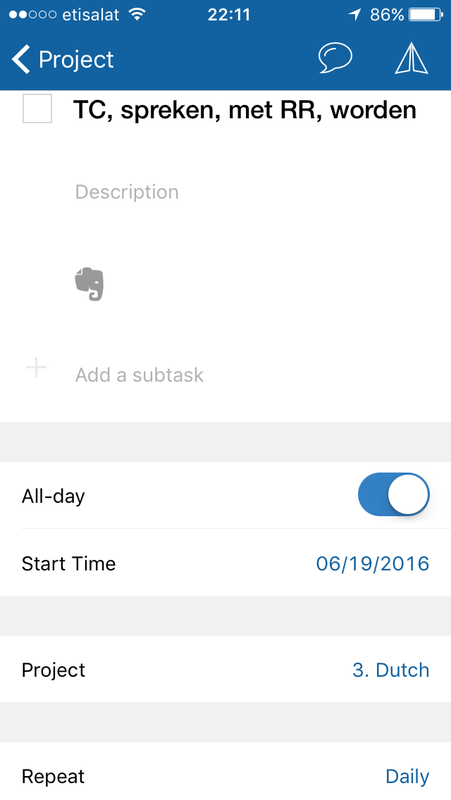 My scheduled tasks do not have a deadline defined, only a start date. (Is that okay?) Some scheduled tasks that are daily or weekly seem to work repeatedly; some do not. The monthly tasks do not. I am using the Mac app (4.2.6; OSX 10.13.3), iPhone app (iOS 11.2.6), Windows app. Occasionally I will use the website. I have the same problem. 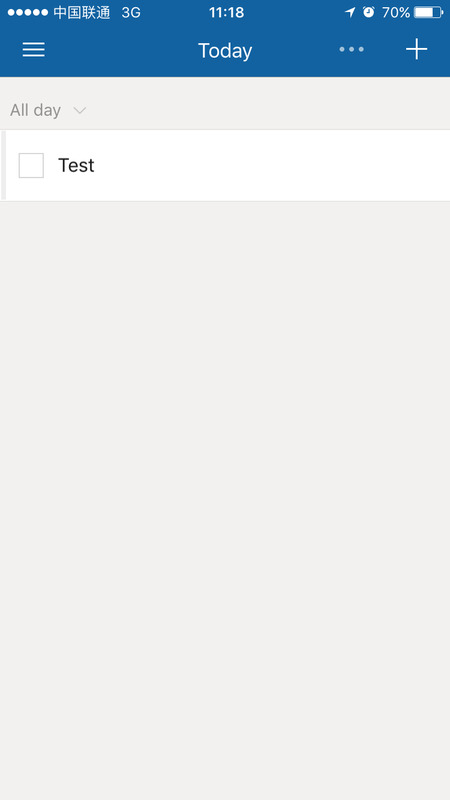 I have daily task that didnt show up today. It have happend before too. @thecrosser @tpv0rtex It's been fixed, please check again by signing out and signing again. I gave up on Doit.im. Nirvana HQ is visually more intuitive and now has a unique value. I still have 9 months subscription, but I'm not satisfied. @np1902 The problem has been fixed and our engineer has been trying to rewrite the related codes to thoroughly fix it. @np1902 How about it now? @Kassy the problem was not fixed. Repeat function does not work again. @rexoder2018 @np1902 Thank you for your feedback! I want to report the same issue that was on this original post. 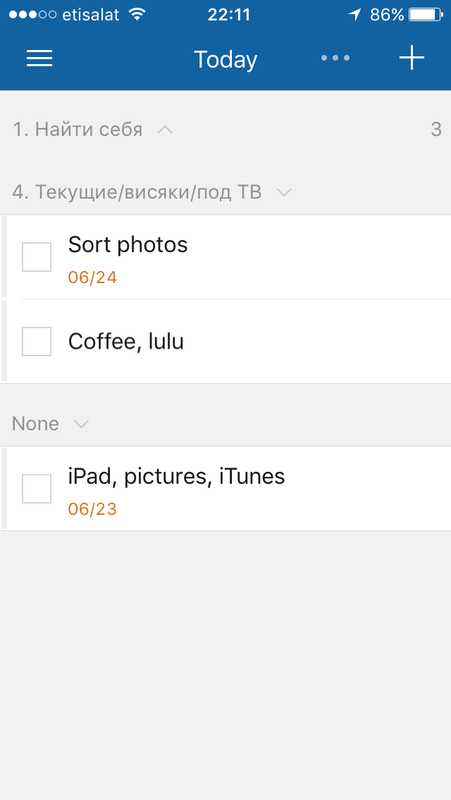 Two days now without my recurring tasks in Windows app, iPhone app, or web version. They show up in their respective projects but not in "today" where I need them. Yep same - web and mobile app for me. When is this getting fixed please? I'm experiencing the same problem! Again the repeat tasks are broken for me!! Same problem few days. RIP doit.im? Yeah I've got further questions.. Looking at the reviews you're getting on google play as of the last 6 months.. what are you doing to reassure your loyal users that they're buying into a good product? Be honest with us? Is there like one person who deals with our complaints? @jamesbowen Thank you for your question and your reminding. We do have further plans, but that detailed yet, so we would like to improve it first. Any ideas, please feel free to tell us.